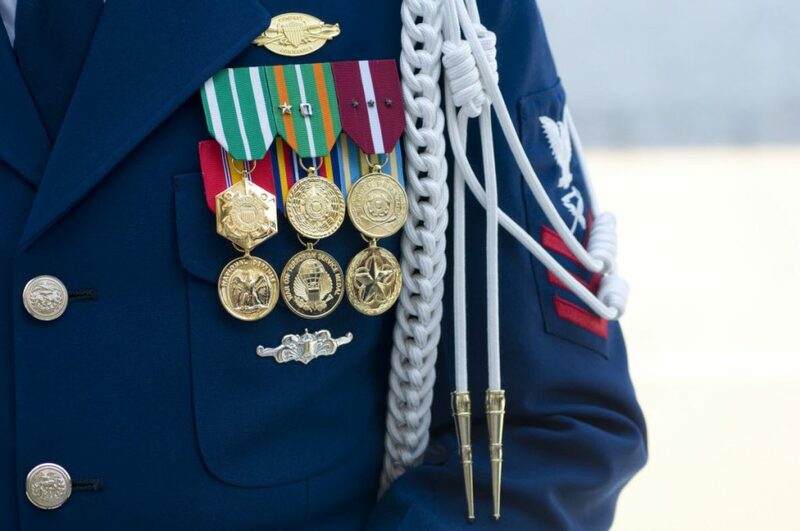 Veterans of the U.S. Coast Guard who served full-time are eligible for Veterans Administration (VA) benefits including disability compensation, health care, pensions, home loans, life insurance, vocational rehabilitation and employment for veterans with service-connected disabilities; and education, training and career counseling. For most benefits, there is no minimum length of service required if the veteran enlisted prior to September 8, 1980. On or after September 8, 1980, the veteran must have served their full enlistment period or, if less, 24 months of continuous active duty. Later period enlistees who were injured or became ill during active service can qualify for VA disability compensation even if they do not meet the minimum length of service requirements. Other exemptions include hardship discharges, claims for VA life insurance benefits and retiring or separating from service because of a service-related disability. VA pensions have more specific requirements pertaining to wartime service and discharge status. To qualify for a VA pension, the veteran must have served at least 90 days of active duty, with at least one day during an eligible period of war. The veteran must also have received an other-than dishonorable discharge. VA pensions are monetary monthly benefits. Types of pensions include Basic Pension and the Aid and Attendance long-term care pension. The VA also provides benefits for the spouses, surviving spouses and dependents of U.S. Coast Guard veterans. Surviving spouses can receive Dependency and Indemnity Compensation (DIC) if the veteran died during active military service or from a service-connected disability, or the veteran was rated totally disabled at the time of death. DIC is also paid to parents based on financial need. A Survivor’s Pension is available for surviving spouses and children. Spouses and surviving spouses can also qualify for Aid & Attendance. Other benefits for spouses and children who meet DIC requirements include the Civilian Health and Medical Program of the Department of Veterans Affairs (CHAMPVA), and the Survivor’s and Dependents’ Educational Assistance Program (Chapter 35). The history of the U.S. Coast Guard dates back to 1790 with the establishment of an armed customs enforcement service called the United States Revenue Cutter Service. The Service was part of the U.S. Department of the Treasury. In 1915 it was renamed the United States Coast Guard after merging with the United States Life-Saving Service. The Coast Guard took over the U.S. Lighthouse Service in 1939 and the Navigation and Steamboat Inspection Service in 1941. The U.S. Coast Guard was moved to the Department of Transportation in 1967 and transferred to the Department of Homeland Security in 2002. The mission of the U.S. Coast Guard is to provide marine safety (search and rescue, navigation aids, safety checks, inspections and investigations); ports, waterways and coastal security, including law enforcement, migrant interdiction and drug interdiction, and environmental protection (marine pollution education, prevention and enforcement). The Coast Guard also locates and reports on icebergs in the North Atlantic, and evaluates, certifies and credentials mariners working on U.S. merchant ships. U.S. Coast Guard personnel have served in the Quasi-War, War of 1812, Mexican War, Civil War, Spanish-American War, World War I, World War II, Korean War, Vietnam War, Operation Urgent Fury, Operation Just Cause, Operation Desert Shield, Operation Desert Storm, Kosovo, Operation Enduring Freedom and Operation Iraqi Freedom. During World War II, the Coast Guard provided weather forecasts for Europe while patrolling Greenland as part of the International Ice Patrol. The Coast Guard also participated in rescue operations after American ships were attacked by the Germans. Coast Guard vessels sank three German U-boats, and were the first of the U.S. Armed Forces to take German prisoners in combat. It was also a Coast Guardsman patrolling a beach in New York who discovered the German saboteurs involved in Operation Pastorius. Approximately 241,000 Coast Guard personnel served during the war. Casualties totaled more than 1900 (Congressional Research Service). To qualify for a VA pension, a WWII U.S. Coast Guard veteran must have served at least 90 days of active duty, with at least one day during the wartime period of December 7, 1941 to December 31, 1946; or July 26, 1947 if the veteran was in service on December 31, 1946. Coast Guard veterans of the Korean War may be eligible for VA pensions if they served at least 90 days of active duty, with at least one day during the Korean War period of June 27, 1950 to January 31, 1955. The Coast Guard entered the Vietnam War on May 27, 1965 to assist both the Navy and Air Force in various military operations, including intercepting North Vietnamese and Viet Cong boats carrying soldiers and supplies and providing fire support. Approximately 8,000 Coast Guardsmen served during the Vietnam war. Sixty-seven were killed during conflict and 80 were wounded. The veteran must also have received honorable discharge or other than dishonorable discharge. Senior Coast Guard veterans who need help paying for long-term care can get financial assistance from the VA in the form of a monthly pension called Aid & Attendance. The benefit is tax-free and can help cover the cost of home care or facility care. To find out more about the Aid & Attendance pension, contact one of our benefit consultants today at 877-427-8065.